Our goals as a team were to create a visually compelling design that people would be intrigued by and want to interact with. Taking inspiration from other wearable artists such as Anouk Wipprecht, we sought to incorporate motion, lights, and feeling in our wearable design. Part of our mission was to have these displays respond to information about the wearer of our design. We decided on three specific mechanisms that actuate when sensory input is present. There can often be little regard for personal space when someone is in public. On a crowded subway or store, or perhaps even when with a friend, boundaries are crossed that make some uncomfortable. 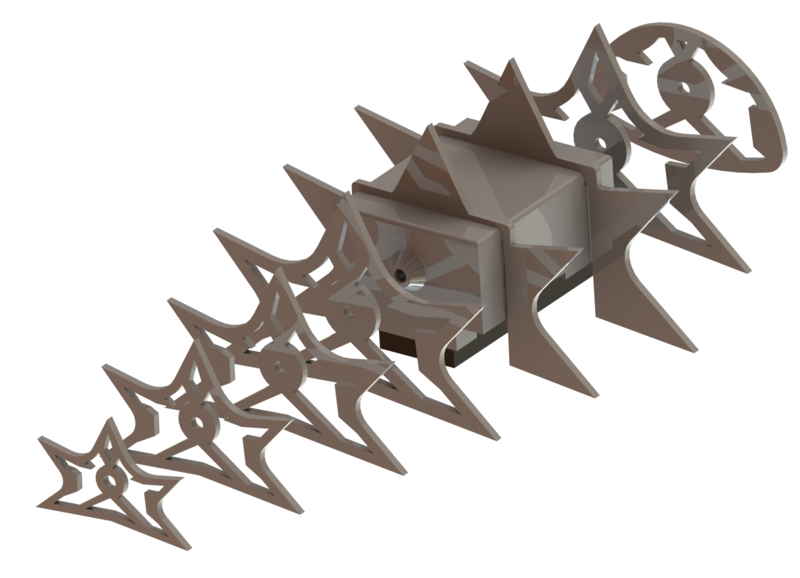 We wanted to explore this boundary issue with a physical response: spikes that actuate when an IR sensor reads that a person is too close. 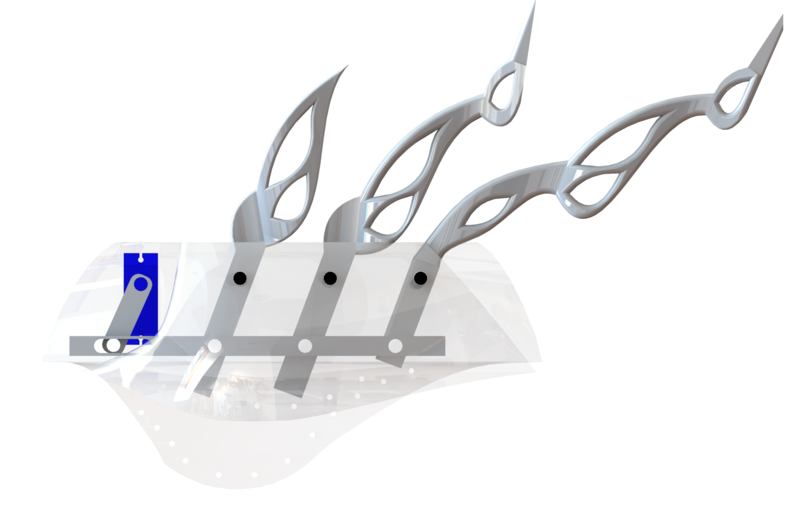 The spikes are connected via a linkage system to a SG90 Micro Servo that’s housed within a plastic shoulder pad. When the IR reads a person is within a certain proximity, they rotate back and forth, indicating unrest. 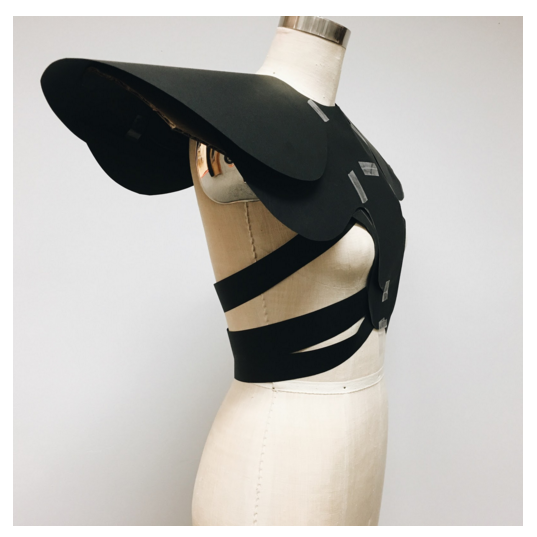 One of the first materials we discovered in creating our project was conductive fabric. 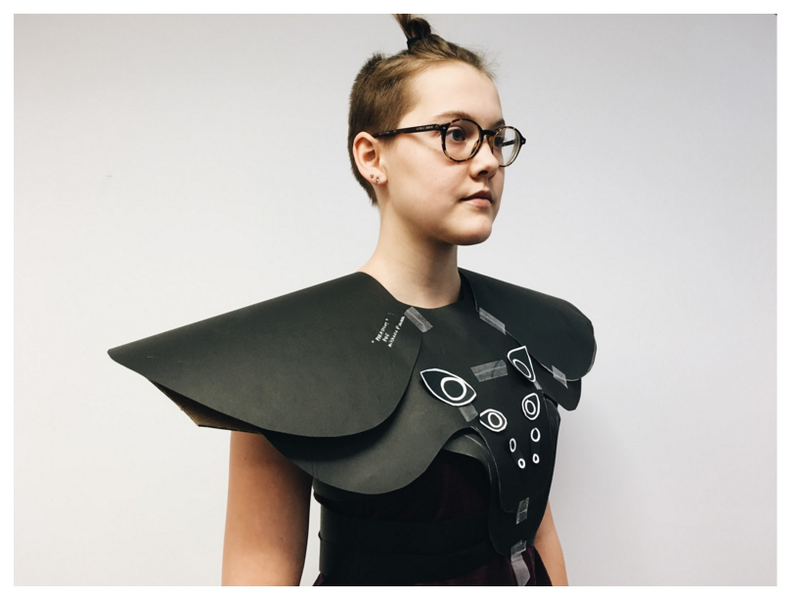 Through rigorous testing, amplification, and prototyping, we were able to construct a belt made of conductive fabric that acts as a variable resistor when the wearer breathes. This design helped form the concept of a wearable for us, and was perfectly suited for integration. On the other end of the sensor data there are vibration motors within the spine of our wearable. When the wearer breathes, thus activating the conductive belt, motors in the spine vibrate, thus amplifying whatever passive breathing patterns our wearer has. Because of the almost parasitic nature of our design, we made a number of decisions to steer the look and feel of our project towards that of a living, breathing organism. 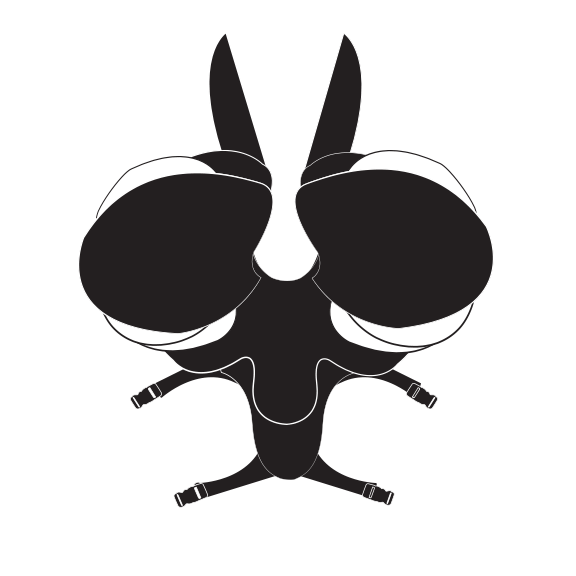 One such mechanism is the eyes on the front of the wearable. 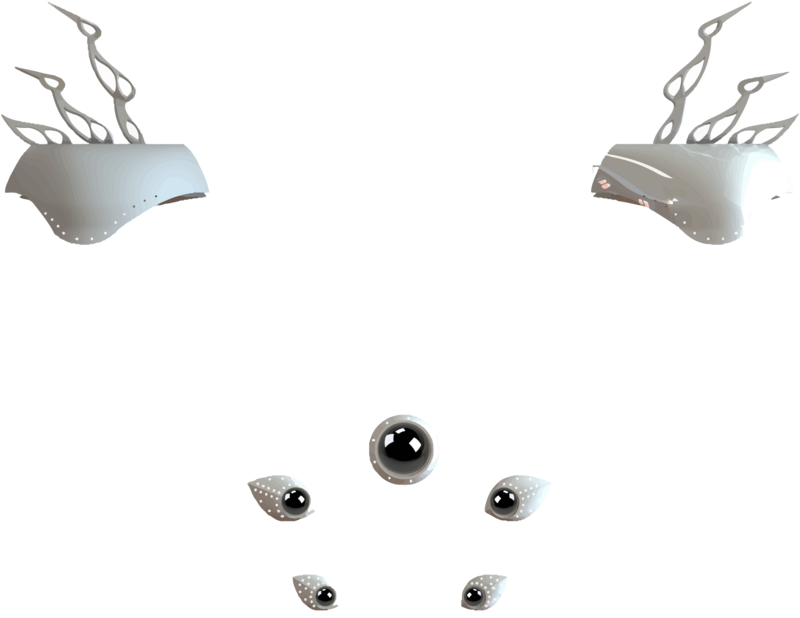 These eyes, like the vibration motors in the spine, are also dependent on the breath of the wearer. We decided that, in order to make the connection to breath more compelling, we would need to make it somewhat visible instead of simply actuating vibration for the wearer. Beginning with our higher level concepts of a final design, we knew what we wanted to accomplish in effect but the method still remained to be discovered. Using Pinterest, Instructables and the general power of the internet our team formed a clear aesthetic. With an agreed upon interest in mind we chose structural materials that would be soft to touch but have a hard form. We also considered the complexity of fabrication, although some of material choices might be different if we were to do it again. 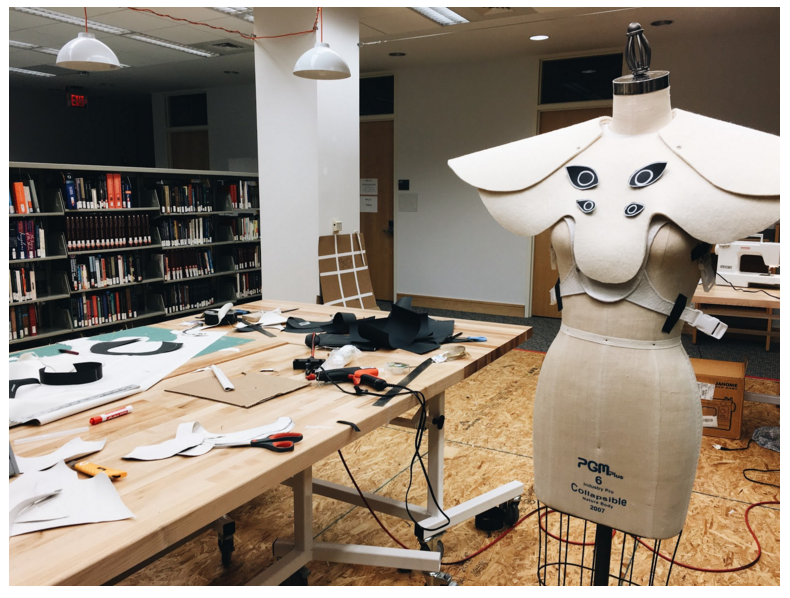 After the final pivot to a wearable art piece the Mechanical subteam met to finalize designs. 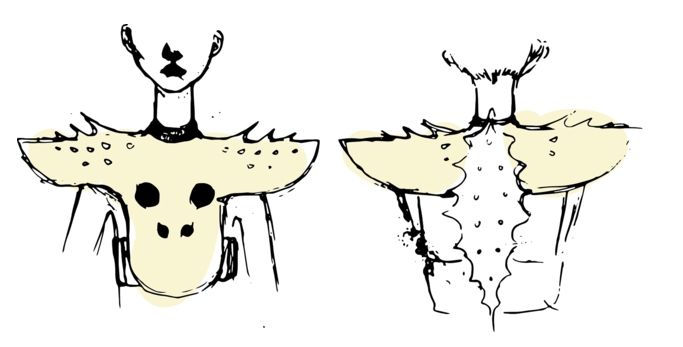 We created these sketches to guide the following fabrication process. After this initial prototype we a had a clear idea of what aspects we wanted to perfect, and which needed to be overhauled. 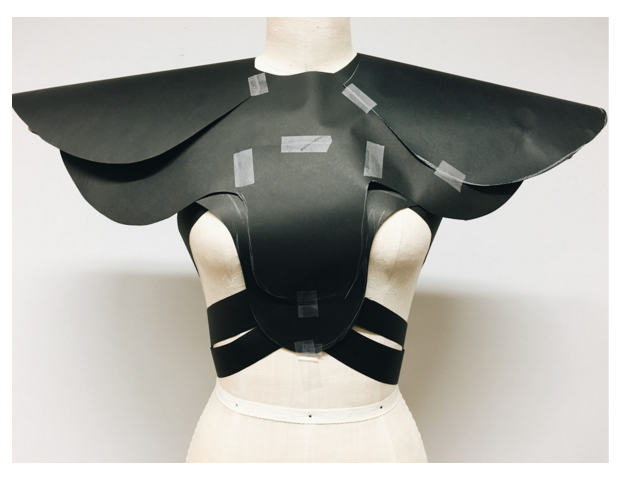 From this prototype we kept the concept of armour, an open ended bodice easily worn by many people. 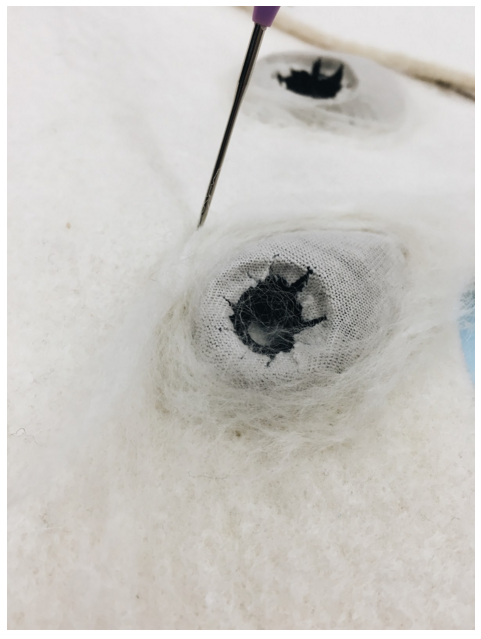 This armour-like structure serves as a strong foundational architecture to support the ‘living’ features of the wearable: sensing eyes, actuated spines, lights, and vibration. 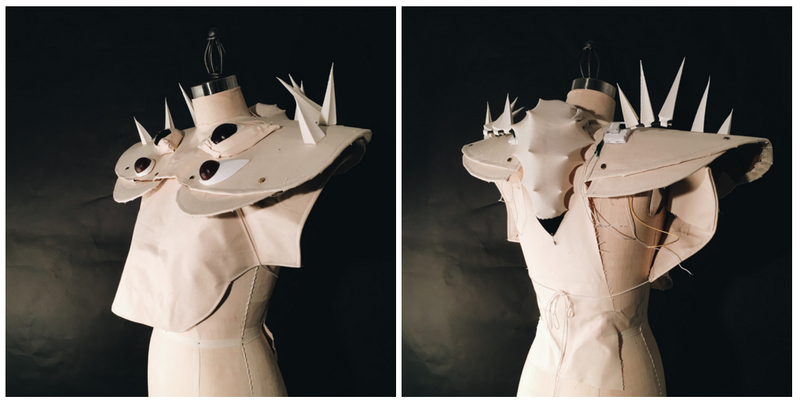 Once the general architecture was finalized, a paper prototype was carefully constructed to be an exact copy of the final wearable. This allowed for a precise pattern to be made, using an easily modified material that could be repeatedly altered until a perfect geometry was found. Fabrication proceeded with careful execution, testing methods and materials continually throughout the process. Generally: First the paper pattern and cardboard supporting hinge were made. 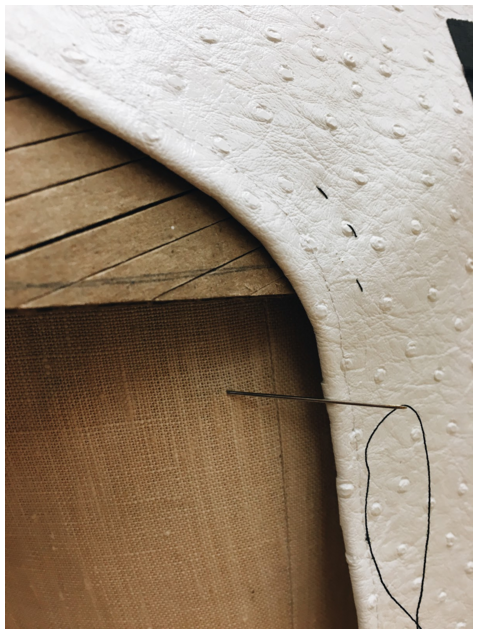 The felt fabric was cut and overlayed, keeping it and each sequential piece of the pattern separate until everything fit together. Fabrication was done using majorly traditional techniques melded with modern rapid prototyping tools.